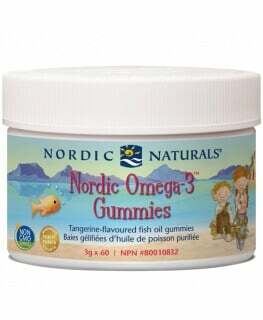 Omega-3 fatty acids, docosahexaenoic acid (DHA) and eicosapentaenoic acid (EPA) are essential fatty acids needed for the development of healthy brain, nerves and eyes in growing children. 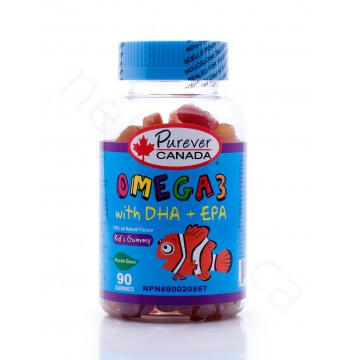 Most kids are not getting enough of these healthy fats from their diet, therefore, boosting your child’s intake of DHA and EPA will help with brain development and concentration. 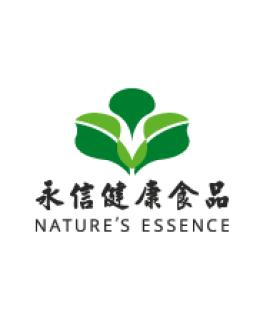 Omega-3 fatty acids, docosahexaenoic acid (DHA) and eicosapentaenoic acid (EPA) are essential fatty acids needed for the development of healthy brain, nerves and eyes in growing children. Most kids are not getting enough of these healthy fats from their diet, therefore, boosting your child’s intake of DHA and EPA will help with brain development and concentration. Studies show that fish oil supplement in children improve attention deficit hyperactivity disorder (ADHD), autism, aggressive behavior and cognitive impairment. 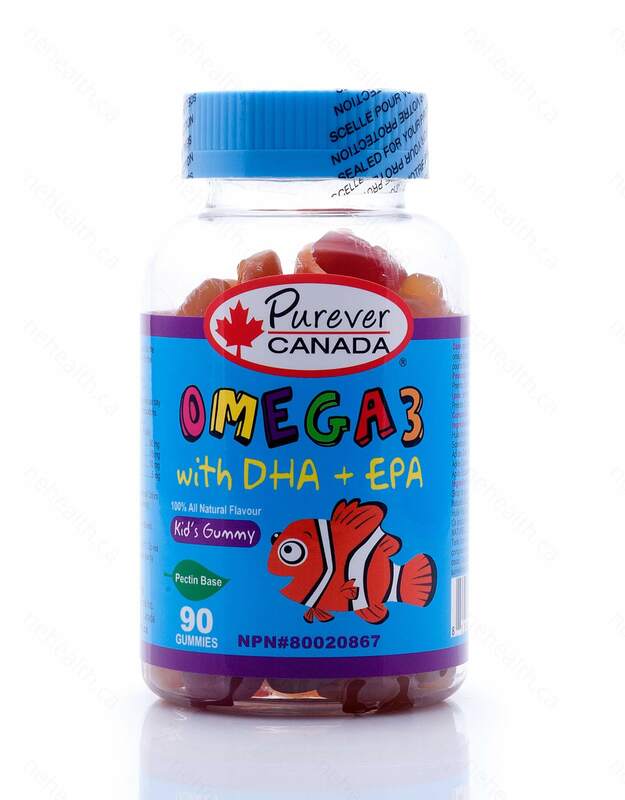 Purever Canada Kid’s Gummy Omega 3 provides all the optimum omega 3 fatty acids needed in a delicious fruit flavor gummy without the fishy taste. 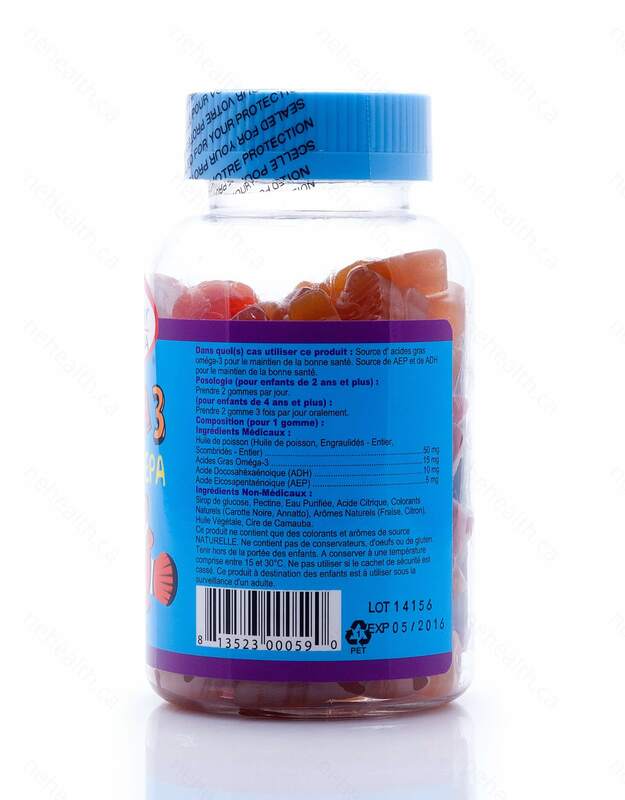 What Are the Key Health Benefits Associated with Kid’s Gummy Omega 3? 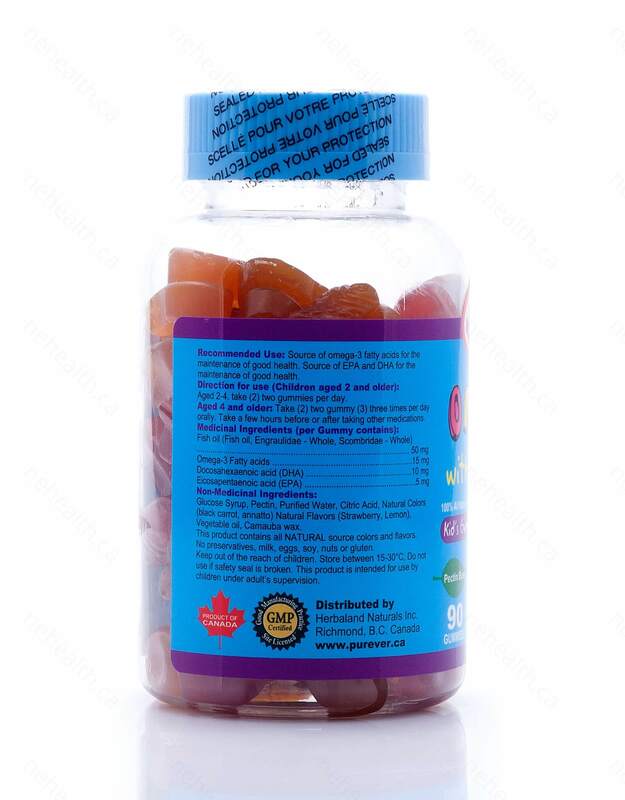 Aged 2-4, take (2) two gummies per day.Aged 4 and older, take (2) two gummy (3) three times per day orally. Take a few hours before or after taking other medications.